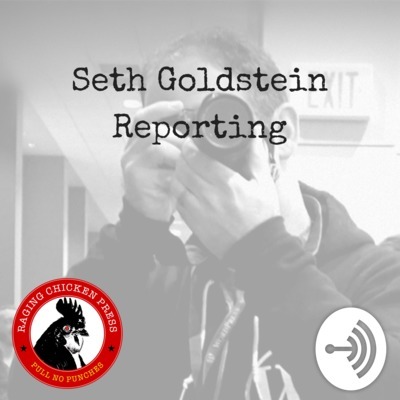 Seth Goldstein is a recovering newspaper reporter turned digital journalist and commentator. 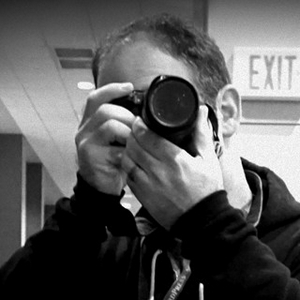 He is a reporter, photographer, and Web editor for the progressive news site Raging Chicken Press (https://ragingchickenpress.org). Support independent progressive voices on-air and online. Go to patreon.com/rcpress and for as little as $5/mo you will be helping keep us on the air. Episode 12 - Socialism and Communism, CA vs. AG and more. In this episode we talk about California Governor Jerry Brown standing up to US Attorney General Jeff Sessions on immigration, how socialism is completely different from communism and the USSR flag represents the latter not the former, and I'm terrified that Trump is the president setting up the talks with North Korea. China's government is looking to make President Xi ruler for life, Florida takes some steps for stiffer gun laws, but also allowing some teachers to bring guns to school, Trump and Kim Jong Un to meet in May for talks, and more. Our democracy needs saving. Russia, Egypt, and China just to name a few countries with fake elections. We need to make sure the US doesn't go that direction... ever. Republicans, along with some Democrats, are rolling back the bank regulations put in place after the financial crisis in 2008. What could go wrong? And, again, we need common sense gun laws and we need to support our children and students as they say never again and fight the NRA. I've had enough. We need common sense gun laws NOW. Enough is Enough. Also with Russia's new threat of nuclear annihilation via cruise missile, the Pentagon is evaluating the US missile defense systems and the Supreme Court is hearing a First Amendment argument about political paraphernalia at polling places on election day. There is no rest for any of us. Putin tells the Kremlin that Russia now has a ICBM that can evade anti-missile defenses, Mueller is looking into Trump's actions where he tried to get rid of Attorney General Jeff Sessions last July. And the Lt. Governor of Georgia is threatening Delta Airlines with taking away huge tax breaks if the airline cuts ties with the NRA. I told you the craziness keeps coming. You can now privately bookmark tweets, Trump, again, goes after Sessions, who is trying to do his job, somewhat, and Jared Kushner is manipulable. Our "brilliant" president said something stupid as hell the other day. The Vietnam-dodging Donald Trump said he would have charged unarmed into the Parkland Florida high school to take on the armed gunman. Episode 5 - Some Big Brands Are Sticking By The NRA and more. Some big brands including YouTube, Amazon, FedEx, Bass Pro Shops and others are sticking by the NRA despite calls for them to drop the controversial gun organization in the wake of the Valentine's Day Mass Shooting in Parkland Florida. Also in the news, EPA head, Scott Pruit, says the Bible is guiding him to harvest our natural resources (*He's referring to Natural Gas and Coal). The two topics of legalizing marijuana and Net Neutrality might not be all that similar, but with the Trump administration in power, both are very relevant. Episode 4 - The Janus case is at the Supreme Court and more. The Janus v. AFSCME Council 31 is getting underway at the US Supreme Court, Trump has some reckoning to do with his base and WTF Trump is musing about killing all drug dealers in the US. Episode 2 - NE PA Church Blessing Assault Rifles and more. Topics: Northeastern PA church blessing couple's assault rifles and what the heck are people thinking running a natural gas pipeline through populated Eastern PA? Episode 1 - Rick Gates pleads guilty and more guns?! Rick Gates pleads guity in the Muller investigation and our country is heading toward uncertain times. Also more guns is not the answer. February 7, 2018 In this Out d'Coup Xtra, Raging Chicken's own Seth Goldstein checks in with some of the organizations who came out to this year's Keystone Progress Summitt to network and organize. Seth talks with Jarrett Smith, Youth Director of NextGen Pennsylvania; Jeff Dempsey, Program Director for CeaseFire PA; Arno Vosk, Board Member and Retired ER Doctor from Healthcare for All PA; and John Heaps, Chair of the College Committee at Fair Districts PA. Given it a listen! And don't forget to help support homegrown movement media by becoming a member of Raging Chicken Press for as little as $5/month. BECOME A MEMBER TODAY!